We are happy to announce that Roles and Permissions are now available for every user. 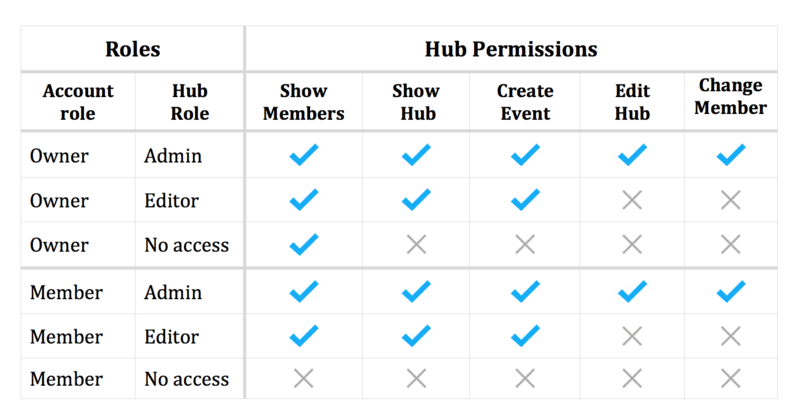 You can manage your team members and their access and usage of hubs in the Control Panel. Admin - The person who has full admin access to a hub. No access - Set this role to restrict access or visibility of the hub to any user. The most important change is you can now have multiple admins while previously you were restricted to just one owner account. A new help guide with more details is available here: Roles and Permissions.